﻿ The View Boutique Hotel and Spa Durban. JIMAT di Agoda.com! Ada soalan mengenai The View Boutique Hotel and Spa? Direka untuk kedua-dua tujuan perniagaan dan percutian, The View Boutique Hotel and Spa terletak di lokasi strategik di Amanzimtoti; salah satu kawasan yang paling popular di bandar tersebut. Terletak 20 Km dari keseronokan bandar, hotel 5-bintang ini terletak di lokasi yang sangat baik dan menyediakan akses kepada tarikan terbesar di bandar. Pelawat yang datang ke hotel boleh melawat tarikan utama di bandar ini seperti: Gelanggang Luncur Ais Galleria, Amanzimtoti Country Club. Kemudahan dan perkhidmatan yang disediakan oleh The View Boutique Hotel and Spa memastikan penginapan yang menyenangkan bagi para tetamu. Untuk keselesaan dan kemudahan tetamu, hotel ini menawarkan meja depan 24 jam, daftar masuk/daftar keluar ekspres, simpanan bagasi, Wi-Fi di tempat awam, tempat letak kereta. Semua penginapan bagi tetamu menawarkan kemudahan yang difikirkan dengan teliti bagi memastikan rasa selesa yang sukar ditandingi. Hotel ini menyediakan kemudahan rekreasi yang baik seperti tab panas, pusat kecergasan, sauna, kolam renang terbuka, spa untuk membuat penginapan anda benar-benar tidak dapat dilupakan. The View Boutique Hotel and Spa merupakan tempat yang ideal bagi penginapan pelancong yang mencari keindahan, keselesaan dan kemudahan di Durban. Tetamu yang tiba selepas 09:30 PM harus menghubungi terus pihak penginapan sebelum ketibaan. Very excellent place and professional. Clean environment. The only problem was the steep entrance to the hotel. Hotel was lovely however our room had damp in which was obvious. The service is 5 star but the hotel itself is far from it. The food was brilliant and can not fault this. I would definitely go again if to stay in a different room. I lived in Toti years ago so know the area, this hotel certainly helps to improve Amanzimtoti’s tourism and would recommend staying there to averyone. Excellent hotel. Would definitely stay there again. Very friendly and helpful staff . Amazing views .Food was lovely . The staff at The View and Giorgios Restaurant are fantastic and made sure our stay to celebrate my husband's birthday was nothing less than perfect. Cleanliness is always extremely important to me and I was very comfortable in our room. The bathroom was stunning. We enjoyed every moment at The View and will be sure to return. from the moment we arrived, we were offered beverages and lovely snacks but the reception. There' a complimentary afternoon tea with cakes at a lovely lounge with a nice view. our room was the size of an apartment, comfortable bed with clean sheets, beautiful views of the ocean from the bedroom and the lounge. our room was by the pool with a nice private patio. a wonderful place with lovely staff, We enjoyed our stay and wish we could've stayed longer. I would definitely stay there again! The View Boutique Hotel & spa - was amazing.. the team was friendly.. I really enjoyed my stay... treated like a queen and king.. Excellent stay, if I needed to find something wrong it would be the lack of a place to hang the used towels but that's looking for something. would recommend the stay to anyone! Big thumbs up!! An absolute blissful stay. It was incredible from the moment we entered this establishment. An all round five star experience from the fabulous rooms to the delicious food and certainly not forgetting the amazing staff...well done and thank you. 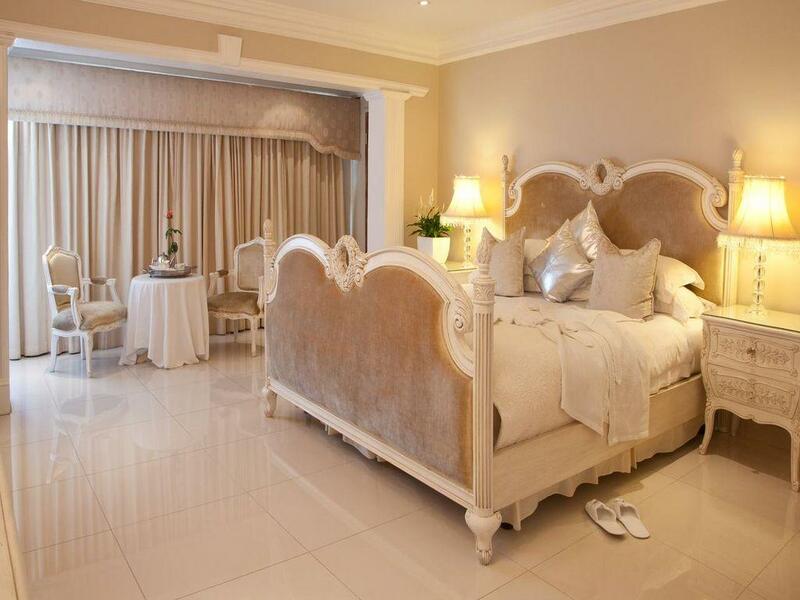 A real gem in KZN with five star opulence and amazing staff. The staff and facilities otherwise was magnificent. Food served is first class. The staff really do there best effort to please the guest. 1)	The shower door could not close properly, water from the shower flooded the bathroom. We had to use the towels to mop up the bathroom floor. 2)	The mattress was to small for the bed base. You have to navigate your way over the railings getting on and off. 3)	The bed! So cranky. You can not move without it creaking and cracking. Not good for a romantic evening. We ended up moving all the furniture aside and dropping the mattress on the floor. 4)	The bathtub dos not hold water. You have to continually top it up. 5)	There is no dead bolt on the sliding door. We were soaking in the tub while a staff member enters the room. “Surprise visit”, to deliver two complementary cupcakes. Hello CUPCAKE!!! Overall a good stay in a comfortable, clean hotel. The restaurant employs "trainees" to serve and we had a few 'mishaps' with wrong orders, spilt flower vase over the table, coffee spilt on the saucer and no offer to change. Wine serve red in the wrong glasses. The problem is the staff are left to serve without experience and not supervised. The will never learn like this. They need supervision and guidance. Not the service I would expect from a five star hotel! The food was good but spoilt by the service. The reception staff argued with us over a hotel taxi shuttle service charge. We were told it was free and subsequently charged. Good will by them was not forthcoming!